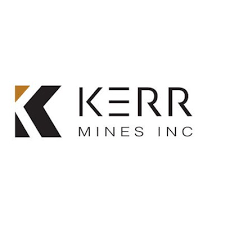 Kerr Mines Inc. (TSX: KER) (OTC: KERMF) (FRA: 7AZ1) is pleased to announce it has received investment committee approval from and executed a term sheet with Sprott Private Resource Lending (Collector) LP setting out the indicative terms upon which Sprott is prepared, subject to certain conditions including satisfactory due diligence, to provide up to US$25 million of senior secured project financing to fund the development and production of gold at the Copperstone Mine. In order to align with the Company’s current strategic and development plans for the Copperstone Mine, the proposed financing has been structured to be completed and advanced in two main phases, an initial phase of US$4 million, which is targeted to be completed on or about November 23, 2018 subject to mutually satisfactory documentation and other customer conditions precedent; and a second phase of US$21 million which is targeted to be completed on or about June 30, 2019. Phase 1 of the financing will be comprised of a US$2 million Note and a US$2 million Gold Loan. The Note will bear interest at a rate of 9% per annum payable semi-annually and matures on May 31, 2020. The Note is convertible into common shares of the Company at any time prior to maturity at a conversion price of CDN$0.16 per share. The Company can redeem the Note at any time by paying the outstanding principal amount in cash, or with the agreement of the holder, in shares of the Company, together with interest payable to maturity. The Gold Loan is repayable in cash based on a notional amount of 2,160 oz of gold priced at the greater of $1,200 and the spot price of gold one day prior to maturity. The Gold Loan will mature on May 31, 2020, provided that it will be consolidated into the Phase 2 financing if completed prior to maturity. The Company will issue Sprott one million warrants in connection with the Note and two million warrants in connection with the Gold Loan. The warrants will be exercisable for a period of three years for common shares of the Company at a price equal to a 15% premium to the lessor of the closing price of the common shares one day prior to execution of the term sheet and, the 20-day volume weighted average price of the common shares prior to the date or dates of closing of the Note and Gold Loan, as the case may be. The expiry of the Warrants can be accelerated at the Company’s election if the trading price of the common shares is higher than 2.5 times the exercise price for 30 consecutive trading days. In addition to the Phase 1 financing, the Company will be raising US$2 million in equity. Further, the completion of Phase 1 financing is conditional on TSX approval, and in respect to the Gold Loan, satisfactory metallurgical test results and other customary conditions precedent. The Phase 1 financing of US$4 million, together with the US$2 million from the equity financing, will be used, to fund a resource expansion and delineation drilling program designed to convert a significant proportion of the current Measured, Indicated and Inferred Resources into Proven and Probable Reserves and to expand the known mineralized extents of the Copperstone and Footwall zones. Further, during this phase the Company will continue with its progression to production through continuation of the permit modification, detailed engineering, mine planning, metallurgical and procurement analysis. Phase 2 of the financing will be comprised of a US$21 million Project Facility with a term of 48 months. The Project Facility will be repayable in cash over the last three years of the facility in equal notional amounts of 7,560 oz of gold (22,680 oz gold) priced at the greater of $1,200 and the spot price of gold one day prior to each installment date, commencing June 30, 2021. The Company will issue Sprott 21 million warrants in connection with the Project Facility. The warrants will be exercisable for a period of three years for common shares of the Company at a price equal to a 15% premium to the share price at the time of closing of the Phase 2 facility. The expiry of the Warrants can be accelerated at the Company’s election if the trading price of the common shares is higher than 2.5 times the exercise price for 30 consecutive trading days. The Phase 2 financing is subject to a number of conditions including Sprott’s on-going due diligence and other customary conditions precedent. The Financing Package is expected to provide the necessary capital to complete the funding of the capital expenditures required to bring the Copperstone Mine back into production. “We are pleased to welcome Sprott as our funding partner”, stated Claudio Ciavarella, CEO Kerr Mines. “The objective of this phased program is to further de-risk the project, extend mine life and cash flows and allow for a seamless progression to production. The strategic vision that we have for this project is congruent with the vision of our funding partner and reflects our over-riding mission of creating shareholder value. With our clear move forward strategy in place, we are able to commence our on-site program immediately,” continued Ciavarella. Further to our Press Release of July 18, 2018, the Company has ended discussions with Pandion Mine Finance LP. Sprott is an alternative asset manager and a global leader in precious metal and real asset investments. Through its subsidiaries in Canada, the US and Asia, the company is dedicated to providing investors with best-in-class investment strategies that include Exchange Listed Products, Alternative Asset Management and Private Resource Investments. The company also operates Merchant Banking and Brokerage businesses in both Canada and the US. Sprott is based in Toronto with offices in New York, Carlsbad and Vancouver and its common shares are listed on the Toronto Stock Exchange under the symbol (TSX:SII).